They say, there is nothing fashionable than owning a Prada in your wardrobe. That’s right! Prada is one of the most famous and largest fashion houses of the world. The name is synonymous with providing top class luxurious fashion to its up market customers. Prada has a grand history and an awesome prospects attached to its name. 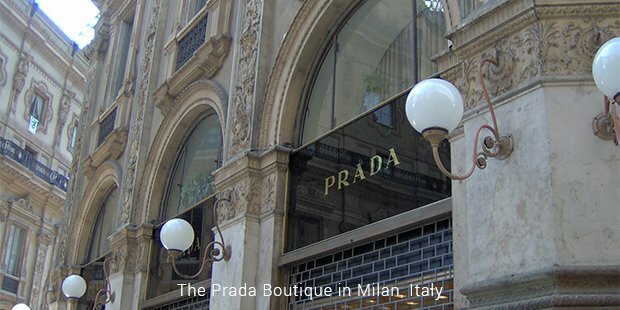 Starting in a humble corner of Italy, Prada had weaved its path to success with a lot of hard work. The swanky fashion label specializes in manufacturing best quality and always offers the latest in fashion in all ready to wear leather and various accessories like luggage, shoes, bags, perfumes and watches. Mario Parada and Martino were once leather workers but it was their indomitable attitude and irreparable quality of work that made them what they are today. Later, the two started importing trunks and handbags. 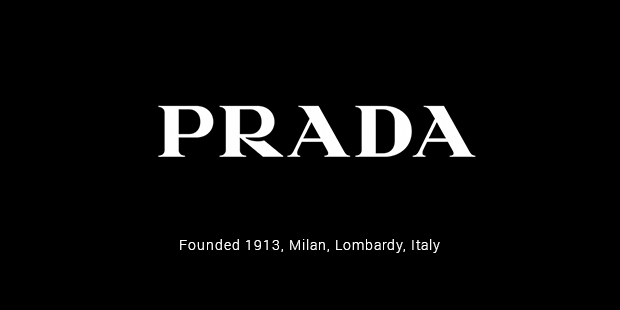 This was the start of a spectacular brand what we today know as Prada. Mario’s daughter Luisa Prada took the helm of the parade to take the company towards success. Further, Luisa’s daughter too joined the company in the year 1970. Luisa Prada’s innovative mind brought the sky rocketing development and advancement to the company. She urged the members of the company to launch a designer collection of handbags. Since then, Prada is known for its exquisite and durable handbags. Later in 1977, Patrizio Bertelli joined the company and his advice and ground breaking ideas added new wings to the company. Prada showcased some breathtaking increase with its customer outreach during the years between 1977 and 1985. The first set of backpacks from the Prada were released in the year 1979. These backpacks were made of tough military spec black nylon which was earlier used by Luisa’s grandfather for covering streamer trunks. Prada was rage among the world population in the late eighties and this was when the company decided to launch their clothing brand. The ability to take new and unconventional decisions have been the reason why Prada has witnessed an amazing rise in the market all these years. There are not only laurels in the satchel of Prada, but some black days and red flags have too been a part of its journey. It was the financial year of 2014 when Prada was investigated for the case of tax invasion. The company is suspected of retaining a sum of 400 million pounds illegally. The Italian department of income tax is making the best use of the time and tide to bring transparency in the case. The lawyers are on their work and the results are bound to come in sooner stint of time. Over all these years, Prada has evolved as a top class brand. Today, it runs into a world collection, be it whole set of watches or perfumes. People from across the world are a huge fans of Prada perfumes and stylish dresses. The enterprise now aims to expand its functionality throughout the world. It is going to be a treat to keep an eye on the developments in this numerouno style brand.